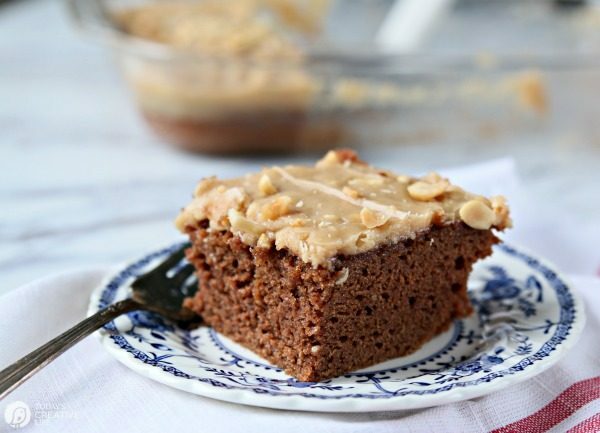 Digging through my recipes I found this crumpled up, well-used recipe for Chocolate Peanut Butter Sheet Cake that I hadn’t made in a very long time! 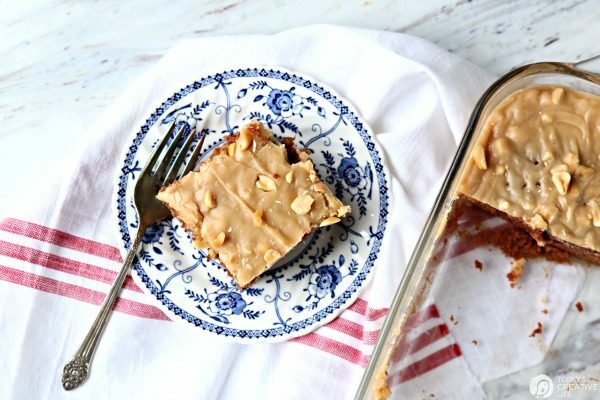 It’s one of my favorite sheet cake recipes! 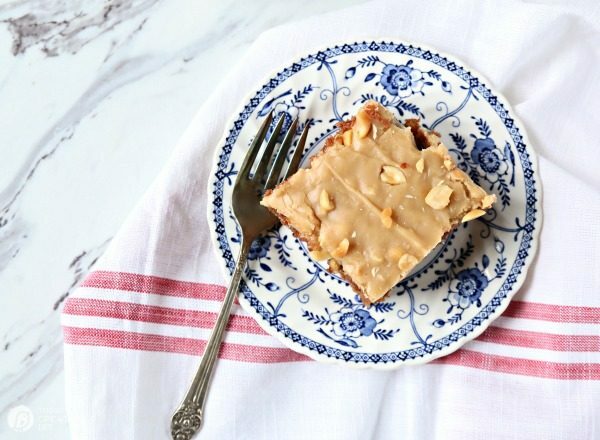 Made from scratch with sour cream and peanut butter frosting makes this cake so rich and delicious! My son prefers a homemade vanilla cake, so maybe that’s why this recipe was tucked away. Now that he’s away at college…. this momma’s making some chocolate cake! I think this recipe originally came from Taste of Home. I love their magazine. It’s one of my must-have subscriptions. 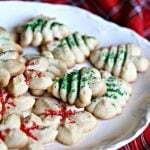 (here’s an affiliate link for a year subscription for only $6.95) The recipes are easy and always delicious. Truth be told, I rarely make a layered cake. Sheet cakes, like my Chocolate Mayonnaise Cake, are just so much easier. The risk factor of it not turning out is gone! I’ll use a bundt pan and make a bundt cake like this chocolate peanut butter chip cake if I want to get fancy! I love using a cake mix and see no shame in doing so. 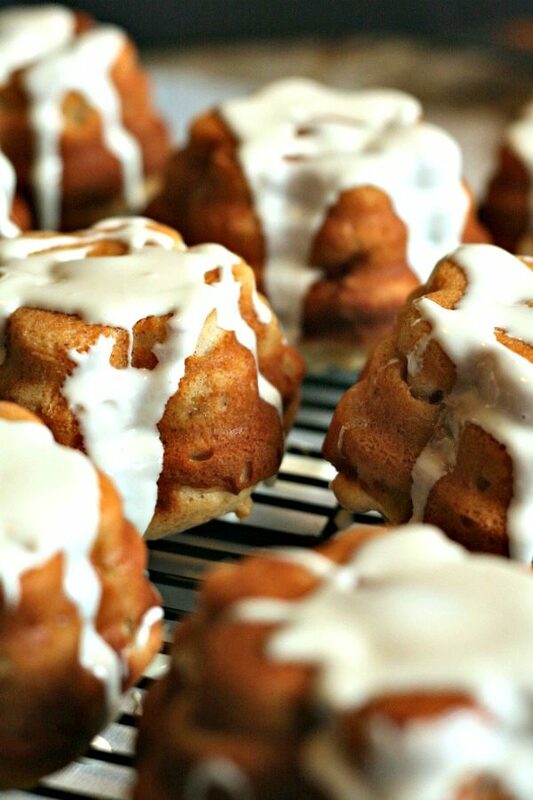 In fact, I love using cake mixes for cookie and muffin recipes too! When making a cake from scratch, read your recipe carefully before getting started. I know that sounds like a no brainer, but I have messed up so many recipes because I just skim over the recipe and directions. I always gather all my ingredients onto the counter, making sure I have everything needed. I also grab all my measuring spoons and cups to have them handy. I find that when baking from scratch, following the recipe is even more important. Some recipes want the eggs separated, or whisked before adding. 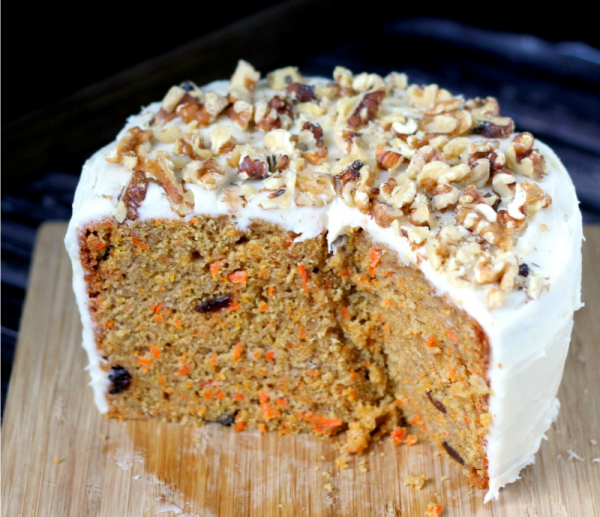 This recipe has you heating up a few ingredients which is different than many other cake recipes. 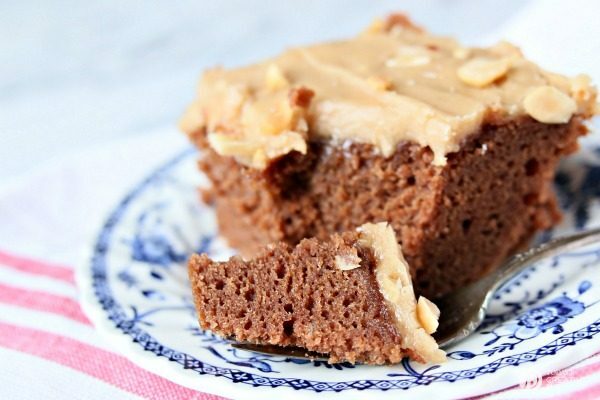 Be prepared and ready for each step and if you’re making this chocolate peanut butter sheet cake, you’ll be rewarded with a delicious treat. Grease 13x9-in. baking pan or dish. In a large bowl, combine flour, sugar, baking soda and salt and set aside. In a small saucepan, add peanut butter, water, cocoa, and butter over medium heat to just to a boil. Stir occasionally. Remove from the heat and add to the flour mixture and stir until moistened. Whisk eggs, sour cream and vanilla in a small bowl until combined well. Add to the flour mixture stirring until completely blended. Bake 25-30min, or until a toothpick inserted comes out clean. Prepare frosting while the cake is baking. In a large bowl, combine powdered sugar, peanut butter, milk, vanilla and peanuts until smooth. I used my electric mixer. When the cake is finished baking, remove from the oven and pour the frosting over immediately. 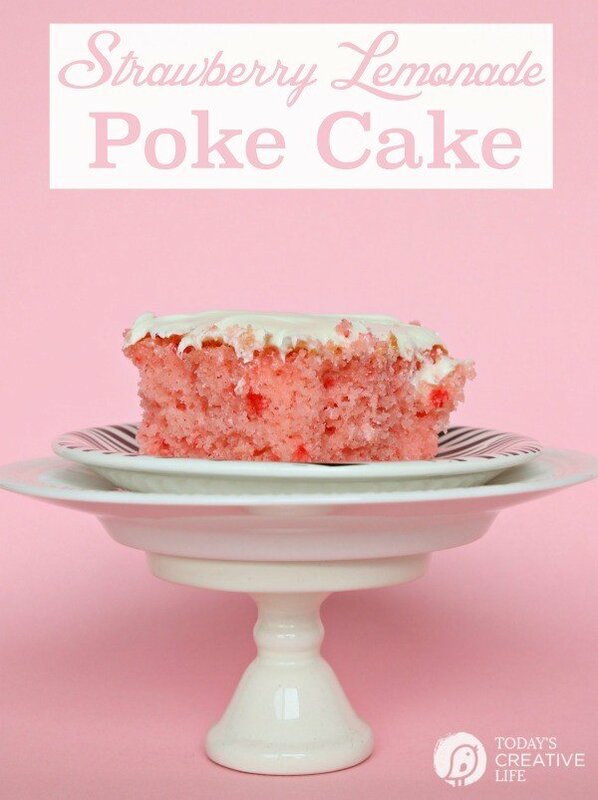 Option: Make a poke cake by poking the cake with the end of a wooden spoon before pouring the frosting. Sprinkle a few more peanuts over the top. 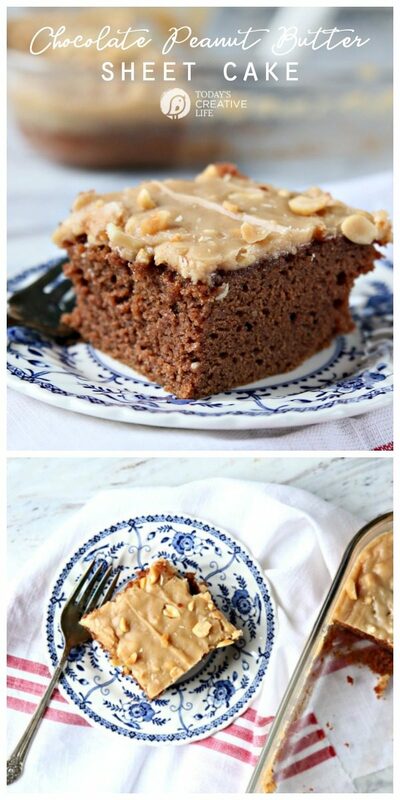 This Chocolate Peanut Butter Sheet Cake recipe is great all year long. Perfect for Sunday dinner, or even a birthday cake for the chocolate & PB lover. It’s easy to transport for a potluck or BBQ, or just make it when you have a hankering for something sweet!